You know when you go in close for a hug with your significant other and you bury your nose deep in their neck? You hug so tightly and you breathe in their scent? Or when you can still smell their scent after they've left? On your pillow? An old t-shirt they may have left. And when you smell their scent you are overwhelmed with emotion? Well...that's a good thing! In 1995 there was a famous Swiss study. In this study, women who were asked to smell sweaty T-shirts worn by different men; and the women were most aroused when sniffing the shirts worn by men with dissimilar immune systems, which is a crucial requirement to lasting attraction and healthy offspring. As much as I love the husky smell of a man...I also love a good cologne! Knowing how to dress well is one thing, but ensuring your cologne game is up to par is another! Researchers at Rockefeller University and the Howard Hughes Medical Institute tested volunteers’ sense of smell using precisely crafted mixtures of odor molecules. Previously, it was thought that humans could smell around 10,000 different odors. Now it is believed to be upwards of 10 TRILLION! What does his scent say about him? According to Terry Molnar, executive director of the Sense of Smell Institute in New York City, the scent a man picks reveals how he wants to be perceived by others. Does your man smell more rich, spicy and musky? Chances are he is a bit reflective and romantic. Is his scent more warm, natural and woody? I'm guessing your man is reserved and refined. Looking for someone uncomplicated and with a take-charge attitude? Sniff out a fresh, zesty, citrusy mate. Is your mate a spontaneous social butterfly? He probably smells of a light, cool fresh mint. There is one cologne that I can smell from a mile away. This cologne makes me weak in the knees! It's no surprise the cologne has hints of citrus and mandarin (see above). 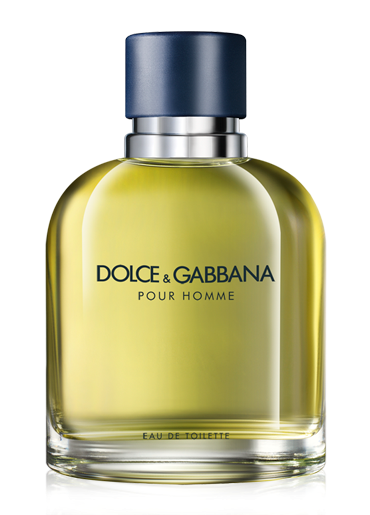 Have you ever smelled Dolce and Gabbana - Pour Homme? Hands down - my favourite men's cologne.